Preston Halfer plays guitar to “Eye of the Tiger” by Survivor during the variety show Wednesday. On Thursday, he said he practiced the song 20 times a day before his performance and added he’s been playing guitar for two years. Schultz Elementary School students in Delaware put their talents and abilities on display Wednesday during a variety show held after school. The show began at 5:30 p.m. and featured several dozen students singing, playing music, dancing and performing jokes. Schultz Guidance Counselor Sarah DeLong said she organized the variety show to give students a chance to show off their talents and shine outside the classroom. DeLong said that in order for students to participate, they had to be well-rehearsed and bring their own instruments/equipment. Kayde Smith, a fourth-grader, performed a dance he choreographed to the song “Rolex” by Ayo & Teo. The energetic dance was a crowd favorite and was met with laughter and applause. Smith said he enjoyed the performance and the audience’s reactions. “It felt awesome!” Smith said. Connor Frye, a fifth-grader and one of the first participants, did live DJing and used a mixer with sounds to create a song. Frye said he learned how to use the mixer mostly by “YouTube surfing” but said his parents had a friend who helped him with production. Frye said he practiced almost every other day but said he added many of the effects on the spot. 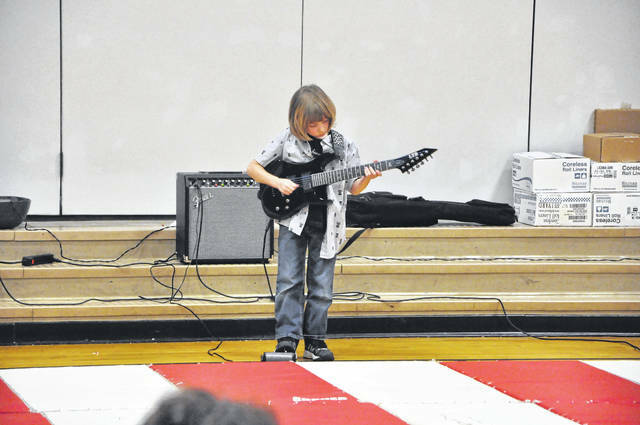 Second-grader Preston Halfer played guitar along with “Eye of the Tiger” by Survivor. Halfer said he practiced 20 times a day before the show and added he’s been playing guitar for two years. Halfer said he enjoys playing with his father, who has been playing since he was Preston’s age. “When I finished, I felt good and proud of myself,” Halfer said. He added he attends Delaware Music Academy and enjoyed seeing several of his “band mates” performing in the show. 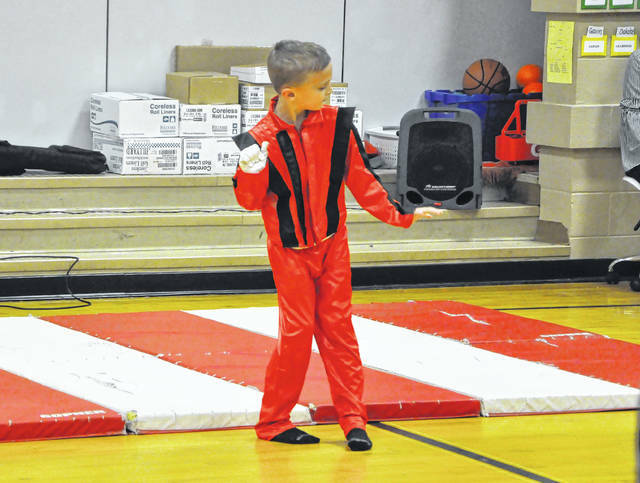 Carter Welch-Clark, a third-grader, made a big impression with the audience when he came out on stage with a black hat, red jacket, and a single white glove and then danced to “Bad” by Michael Jackson. Welch-Clark said he made up the dance and rehearsed it three times every night leading up the competition. He added his mom was responsible for the “Thriller” jacket. He said he was nervous to perform but really happy with his dance. “My favorite thing was that everyone just loved everything, and they would congratulate you and say ‘good job,’” Welch-Clark said. DeLong said she was glad the students enjoyed participating and said she plans to keep hosting the show in the future. https://www.delgazette.com/wp-content/uploads/sites/40/2018/03/web1_DSC_1356-1.jpgPreston Halfer plays guitar to “Eye of the Tiger” by Survivor during the variety show Wednesday. On Thursday, he said he practiced the song 20 times a day before his performance and added he’s been playing guitar for two years.